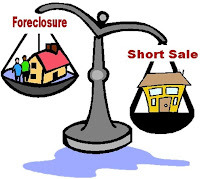 Why Choose South Shore Home Solutions To Work Your Short Sale? Our team has a decade of experience and have closed HUNDREDS of short sales. Our team has been successfully negotiating and closing short sales since this downturn in the market began. We are not new to the process. Each member of our team holds a Massachusett's Real Estate License, which means we have the experience, have taken the additional education and are held to a higher standard. We have a Real Estate Attorney and Tax Professional that specialize in short sales and foreclosures available to answer your questions. All of the negotiations are handled by our team, not a processor or outside third party. We know the verbiage to put in the contracts to make sure you are fully protected and it has been reviewed by an attorney. We DO NOT charge upfront fees. You do not pay us anything out of pocket. We are only compensated by the bank, WHEN it closes. We have a record of successfully closing our short sales and can prove it. When you call or email, you will always be able to reach a member of our team. If you leave a message it’s because we’re in an appointment and you will hear back the same day. When your property is listed, there won’t be any embarrassing signs advertising it as a “short sale” or “foreclosure”. It will be disclosed to interested buyers, but to your neighbors and everyone else your property will look like a standard real estate transaction. We can provide you with names and phone numbers of current and past clients that you can contact to hear firsthand the service we provide. We have a large pool of buyers looking for properties throughout Massachuetts and may have one that is looking for a home just like yours. Each family has unique circumstances and we will work with you to tailor a plan specific to your needs. If You Are Considering a Short Sale Contact Us TODAY for Free, NO Obligation Consultation! Below is a table to help break down the difference of how a foreclosure and short sale will affect you. Remember Knowledge is Power! A foreclosure will show up as a public record on your credit report, the same as a bankruptcy will show. The impact of a foreclosure can be anywhere from 200 to over 300 points. The foreclosure with typically will affect score for a minimum of 3 years and will report for 7 to 10 years. With a short sale, only late payments on mortgage will show on your credit report. 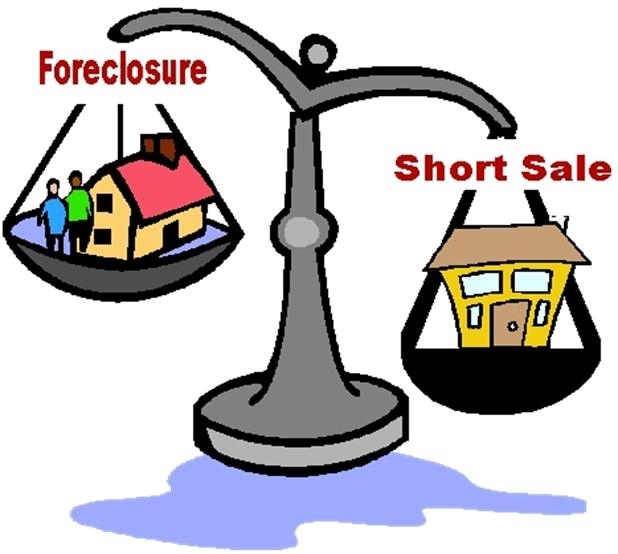 Once the short sale is completed, it will be reported as settled for less than full amount due (or similar verbiage). Depending on the number of other trade lines you have, balances on credit card accounts and if everything else is kept current, the impact can be as little as 50 points. A short sales affect can be a brief as 12 to 18 months. Credit History Along with the late payments, the foreclosure will remain as a public record your credit history for 7 to 10 years. Only the late payments will be reported on your credit. The short sale will appear the same as a charge off on a credit card and will be reported as settled for less than full amount due (or similar verbiage). Any individual that loses their property to foreclosure will not be eligible for a Fannie Mae backed mortgage for a period of 5 years. Any individual that successfully completes a short sale will be eligible for a Fannie Mae backed mortgage after only 2 years. Future Home Purchase (Non Primary Residence - Fannie Mae Loan) (effective May 21, 2008) Any investor that loses their property to foreclosure will not be eligible for a Fannie Mae backed mortgage for a period of 7 years. Any investor that successfully completes a short sale will be eligible for a Fannie Mae backed mortgage after only 2 years. ** NOTE – Fannie Mae is currently the largest insurer of residential mortgages with Freddie Mac as the second. Freddie Mac’s guidelines are typically the same as Fannie Mae. On any future loan application that is completed, the prospective borrower will need to answer YES to question C in Section VIII of the standard 1003 that asks “Have you had property foreclosed upon or given title or deed in lieu thereof in the last 7 years?” this may affect future rates after the 5-7 waiting period. There currently are not any questions related to a short sale on the loan application. ForeclosureEmployers have the right to check the credit of all employees who are in sensitive positions. In some positions, a foreclosure may be grounds for reassignment or termination. Successful Short SaleA short sale is not a public record and is reported separately on a credit report. The employer will only see late payments and an account that has been settled. This shows that you worked with the lender towards a resolution and typically looks much better to the employer. ForeclosureMost employers require a credit report and background check on all job applicants. A foreclosure may pose as one of the most significant hurdles when seeking employment. Successful Short SaleA short sale is not a public record and is reported separately on a credit report. The employer will only see late payments and an account that has been settled. This shows that you worked with the lender towards a resolution and typically looks much better to the potential employer. Foreclosure Foreclosure is the most challenging issue against a security clearance outside of a conviction of a serious misdemeanor or felony. If a client has a foreclosure and is a police officer, in the military, in the CIA, Security, or any other position that requires a security clearance in almost all cases clearance will be revoked and position will be terminated. A Short Sale on its own does not challenge most security clearances. Need Home Relief? JUST ASK. Owe More On Your Home Than What it's Worth? Thanks for visiting our website. One of our knowledgable agents will be contacting you to go over your home options! Dear Homeowner, I am so proud that South Shore Home Solutions, LLC is Massachusetts' leading Real Estate Solutions Company! There is no situation we can't handle and no problem we can't help solve! Since our inception we have been helping homeowners and improving the Boston community. Through our extensive knowledge of the business, network of resources, and years of expertise, we are able to assist homeowners with a wide variety of real estate problems. Copyright © 2010 SSHomeSolutions LLC. All rights reserved.. Awesome Inc. theme. Powered by Blogger.